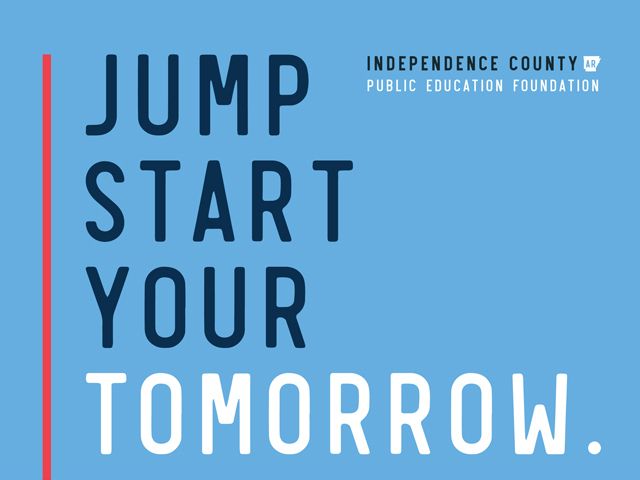 The Independence County Education Foundation Board recognizes the importance of education in improving quality of life for individuals and bolstering economic prosperity for the community. In support of this belief and the Foundation’s purpose, the Board has established the Independence Promise scholarship program. The program is designed to support Independence County high school students who wish to begin earning higher education or training prior to graduation. By establishing this fund, the Foundation expects to support students who mutually promise to apply their best academic efforts in seeking to extend their education or training beyond that provided by the school systems of Independence County. 1)	A decrease in the cost of postsecondary education and training. 2) An increase in educational motivation, educational attainment, and credential completion. 3)	An increase in enrollment at UACCB and Lyon College. Expected broader outcomes are a more educated workforce, higher overall earnings for graduates, greater disposable income for local families, and improvements in the local economy and housing market. The student’s high school will pay for 20% of the total of two (2) courses per semester/term (Fall and Spring) and the annual transcript fee at UACCB (if applicable) per awarded student. The student is responsible for an amount PER COURSE as determined by his/her national student lunch status (see below). The scholarship funds will pay the remaining cost up to two(2) courses per semester/term (Fall andSpring) per awarded student and the annual transcript fee at UACCB (if applicable). 1) Attend Batesville, Cedar Ridge, Midland or Southside School District(s). 2) Achieve placement test scores which result in eligibility for college enrollment and meet all other college admission requirements (see placement chart below). 3) Achieve a 90% attendance and punctuality record during all high school semesters (9th grade onward). Documentation is required for extenuating circumstances. 4) Have a career plan to earn a credential leading directly to employment or obtain credit hours in courses that fit the criteria of the Arkansas Course Transfer System (ACTS) in pursuit of a degree. 5) Complete an Independence Promise scholarship application and submit for first review by Apr. 1st (for fall coursework) or Nov. 1st (for spring coursework). 6) Maintain a minimum 2.5 overall GPA and a final grade of “C” or higher for all college-level coursework for continued eligibility and student contract compliance. *Guidelines and FAQ's are subject to change.